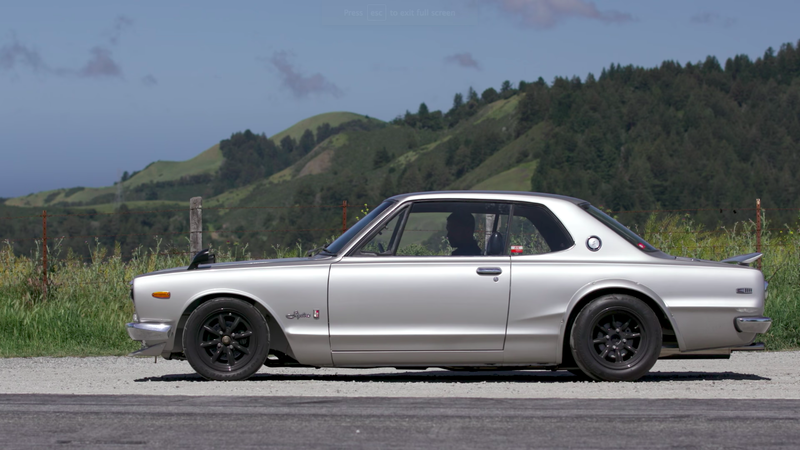 The original Hakosuka Skyline GT-R is among the most beautiful, charming automobiles ever made, one of Japan’s first world-class performance cars. I’ve always liked them as objects, but I never really knew if they were good to drive. I didn’t need to worry, apparently. It’s easy to dream of ‘60s performance cars for their lovely styling, but ‘60s driving dynamics aren’t always that great. That’s why I’m particularly pleased that Jason Cammisa went out and caned an original GT-R and found it to be as good as I’d always hesitantly hoped it’d be. Particularly wonderful is the GT-R’s 2.0 liter straight six, with Ferrari-grade triple Weber carbs right from the factory, absolutely screams, apparently not making any power below five grand. Few road cars even rev’d that high at all back then. Great. Now I desperately want one of these again. Jalopnik Fantasy Garage: Which Nissan Skyline?